Your training is a continuous journey towards a goal (or multiple goals). Depending on your individual progression, you will inevitably have peaks and valleys in your training. But your talent as a paddler is constantly evolving and moving forward, assuming you are putting in the time and effort. For some paddlers, their journey is a quick, steep path of growth. For others, it is a slower, steady route. It is important to recognize your own personal evolution as a paddler to ensure that you are on the right track towards achieving your goal(s). Be patient with yourself and resist the urge to compare yourself to others. Examine your own goals and your personal progress towards them. 1) Are you attending training sessions regularly? 2) Are you remaining focused on your training when you are at practice? 3) Are you internalizing and retaining the instruction presented by the coach? 4) Are you putting in time off the boat working on your strength and endurance? 5) Are you keeping an eye on your goals? 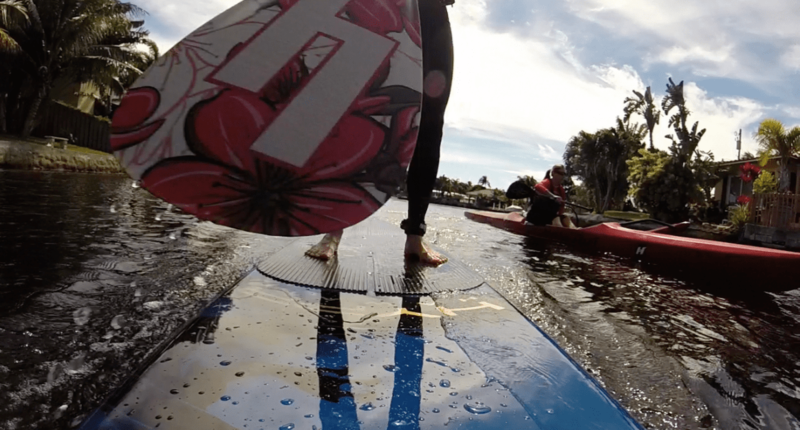 Including variation in your training will benefit the development of your paddling skills. You wouldn’t go to the gym and only work on squats would you? 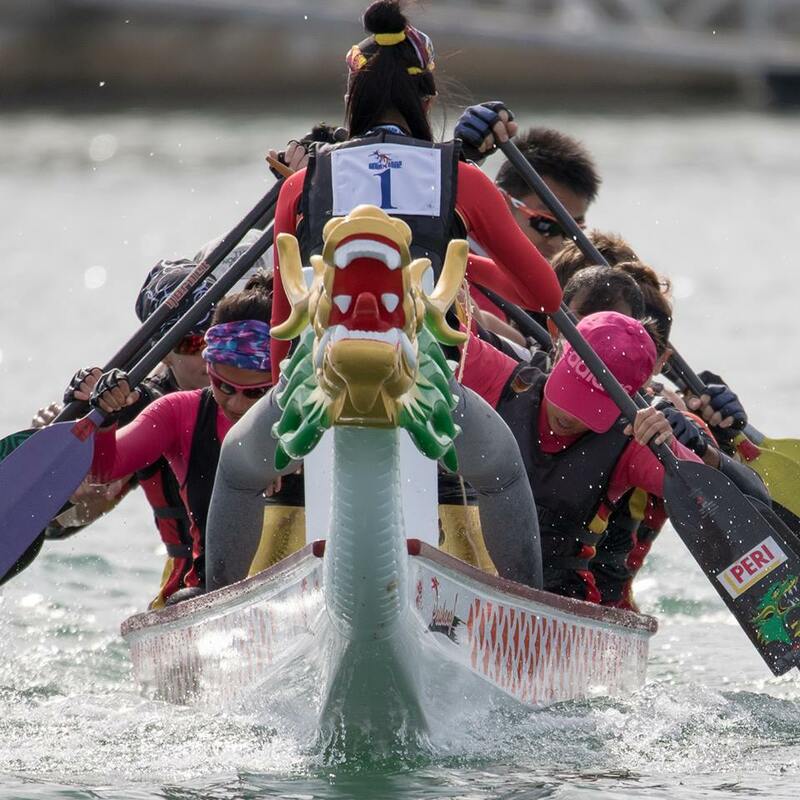 Although dragon boating is a sprint sport, it is important to train your body to deal with the quick sprints as well as the endurance involved in sustaining the precision of the technique. Work on shocking your muscles. Mix it up, otherwise your body will become accustomed to the workout. Don’t let your training become stale. 1) Spend time in the gym. Work on your shoulders, your lats, your abs, your quads, your back, your chest, and every muscle in between. Get strong. Become balanced. Your muscles will help you with power, but they will also help stabilize you in the boat. 2) Spend as much time on the water as possible. Paddle with your team every opportunity you get, paddle on an OC1 to really feel your connection to the water, paddle anything and everything you can find. You will learn different ways to move yourself faster across the water. 3) Work on your endurance by running, swimming, using the erg/rowing machine, or any other activity that gets your heart rate up and keeps it up for at least 20 minutes, preferably more. It is crucial for you to demand perfection in your training. Demand it of yourself. Do not accept anything less. If you allow yourself to slack during practice, rotating a bit less, reaching less, giving up on leg drive, not engaging your lats, for example, you are sacrificing the precision necessary for a powerful stroke. Eventually, that passiveness becomes muscle memory and you have locked in bad habits. Of course the downside to demanding such perfection of yourself is that you can become overly conscious of every single thing, thus rendering yourself useless to improvement. Such “paralysis by analysis” is a common problem. Have you noticed that as you put your extreme focus on engaging your lats, for example, you neglect your leg drive? That is normal. Don’t be overly hard on yourself. Give yourself time to focus on individual components of the stroke, but insist on precision with that component. There is a “happy medium” that we all need to strive for. Too many paddlers achieve “good enough” status and plateau simply because they are satisfied to be making their team’s race crew. Others become intimidated by the idea of perfection and experience the “paralysis by analysis,” perhaps abandoning their goals with the thought that they might never be as great a paddler as they’d like to be. Use your ambitions as a guide and decide what your focus will be for your training session (if your coach hasn’t already done so for you). Require yourself to be impeccable with that particular aspect of your practice, yet don’t over-analyze your performance. Allow yourself to make mistakes and then take the time to learn from them. By recognizing these three components of training you will be better able to target your paddling objectives. Carefully review the goals you have set and determine if you are on the right track to achieve them. If not, consider what modifications might be necessary. Every athlete has bumps in the road. Don’t let your bumps become major obstacles.